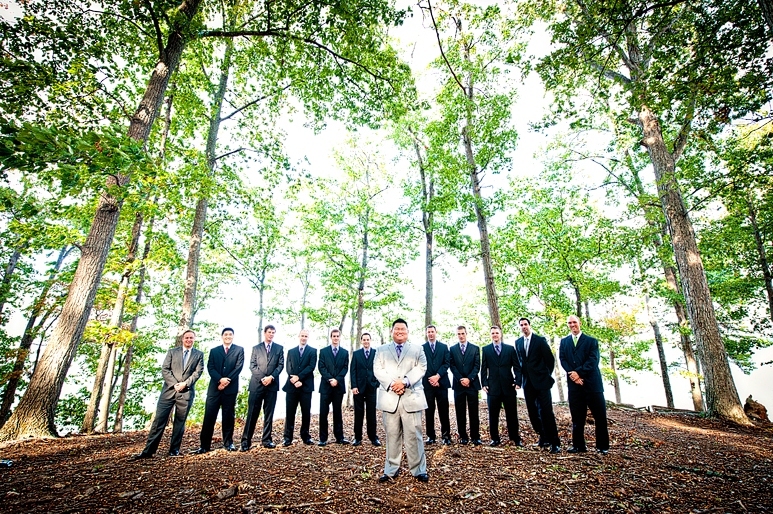 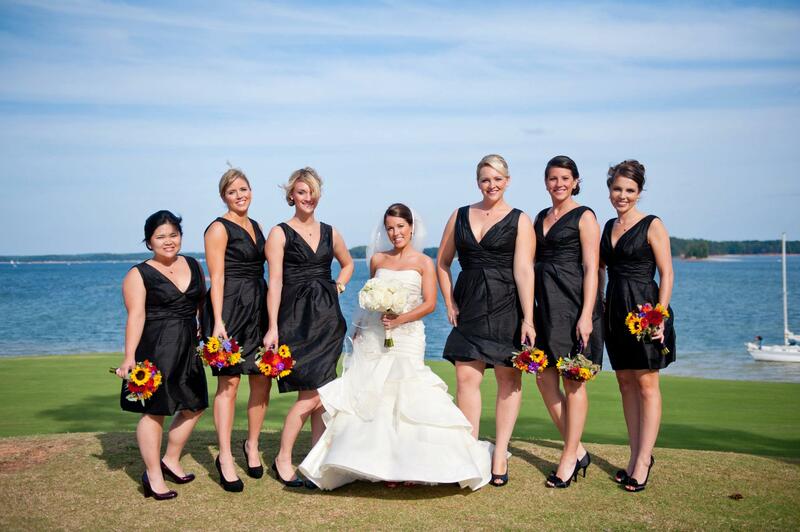 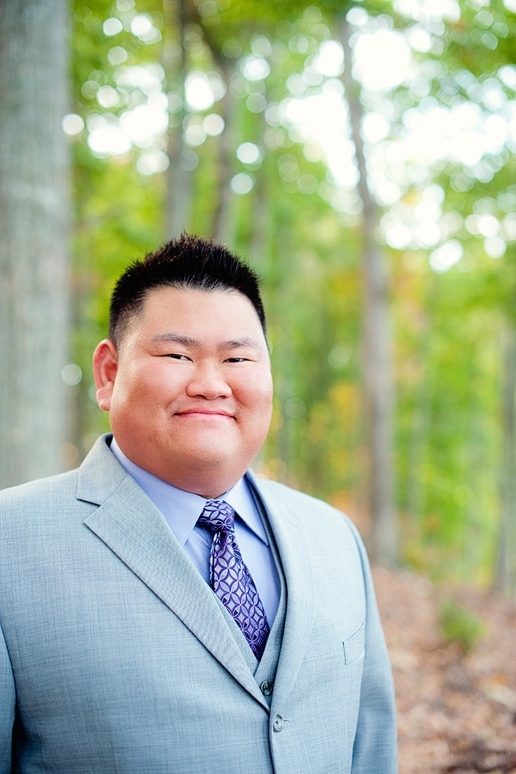 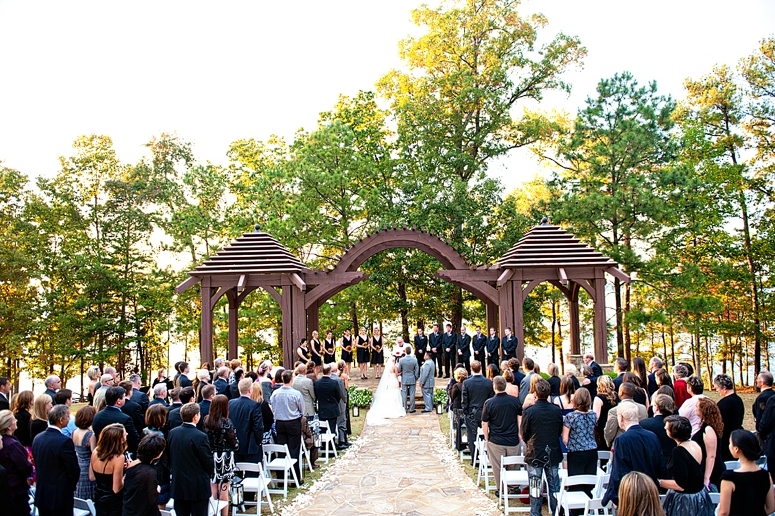 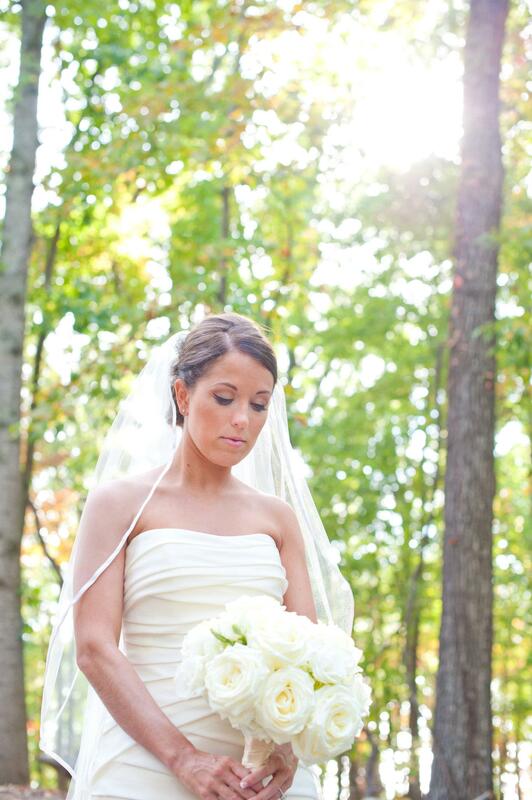 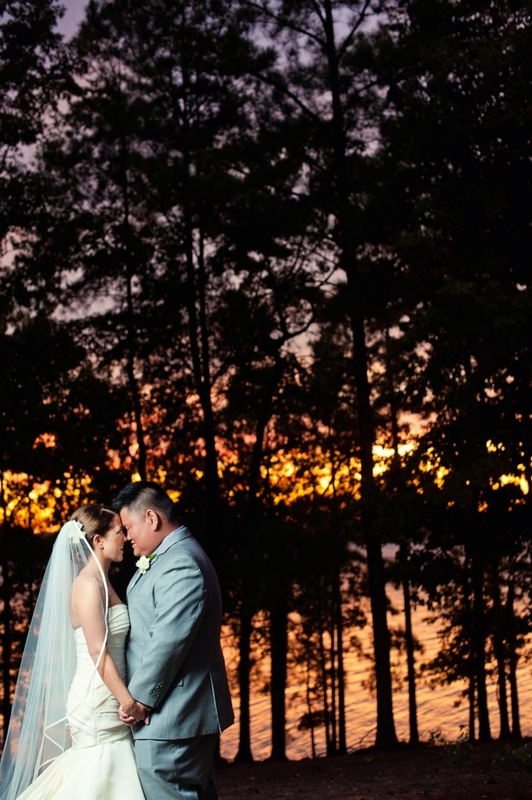 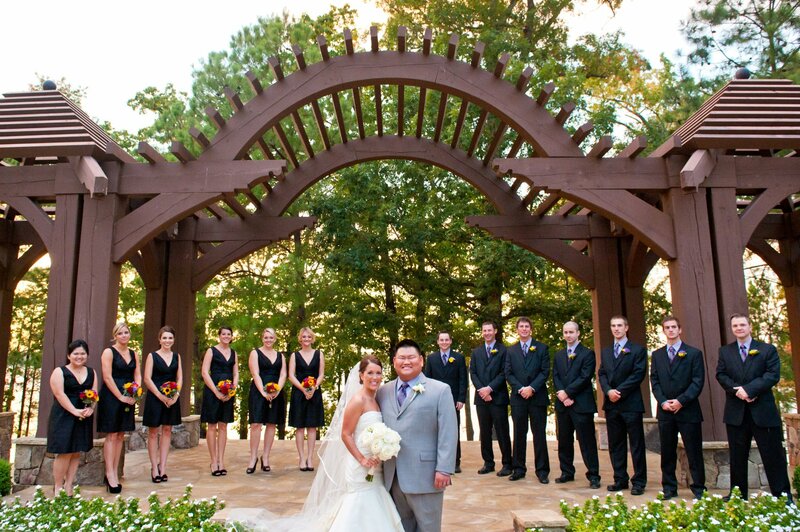 Lindsey and Thuan’s beautiful wedding took place at Lake Lanier Islands Resort in Buford, GA. 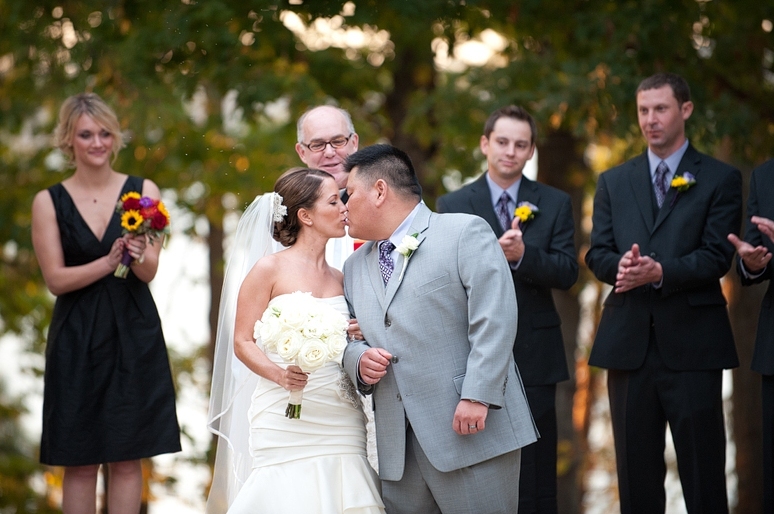 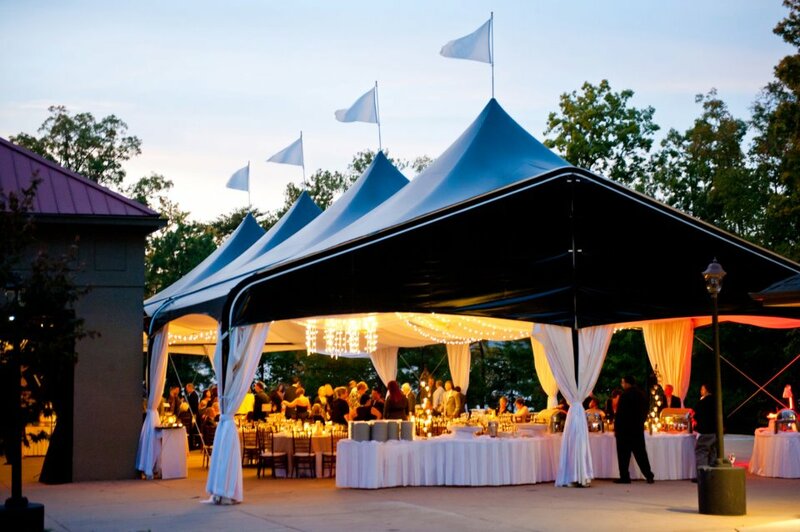 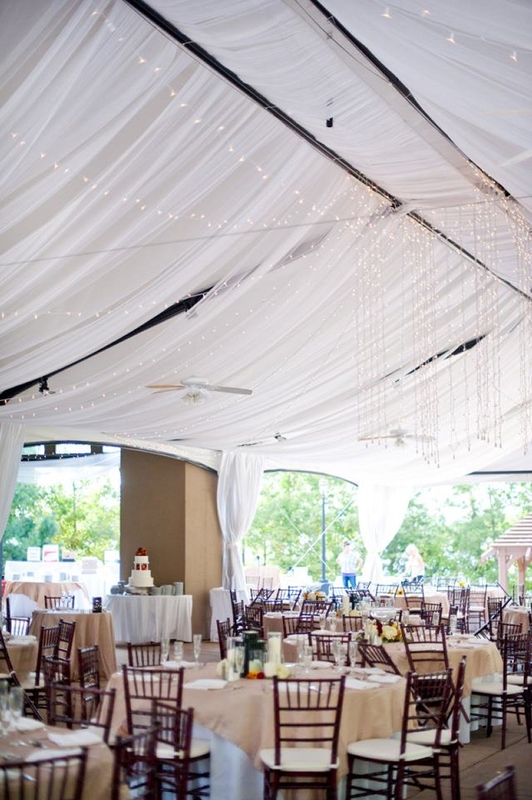 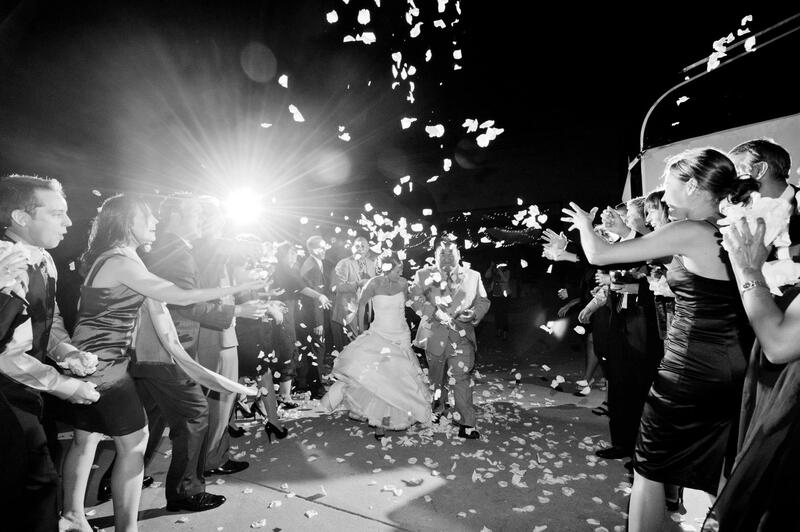 Both their ceremony and reception were held outdoors at the Legacy Pointe venue. 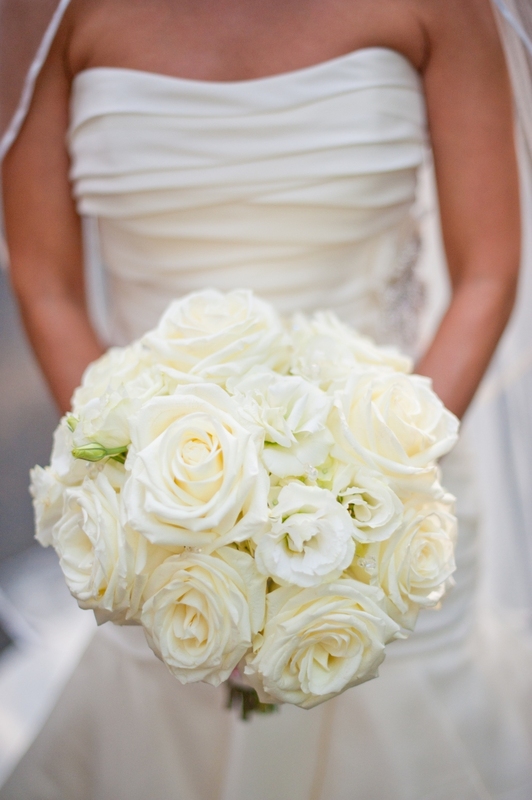 Lindsey chose to carry a classic white bouquet of lush roses and lisianthus while her bridesmaids carried bold bouquets of sunflowers, roses, lisianthus, mums and seeded eucalyptus. 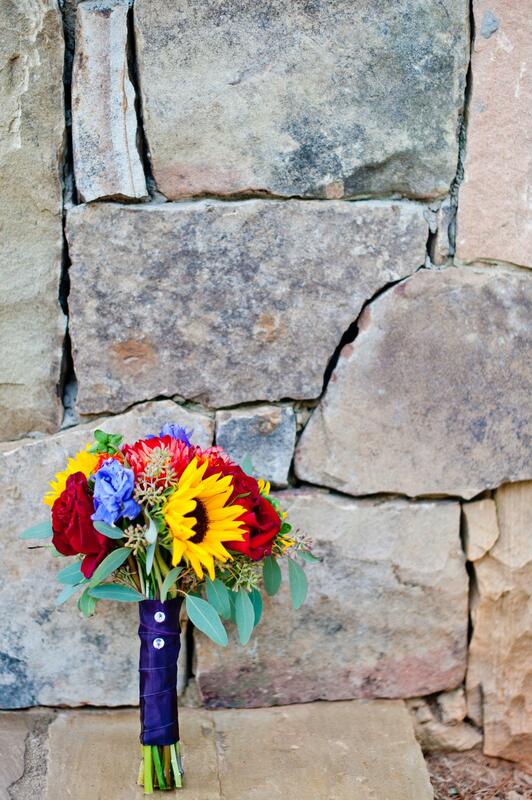 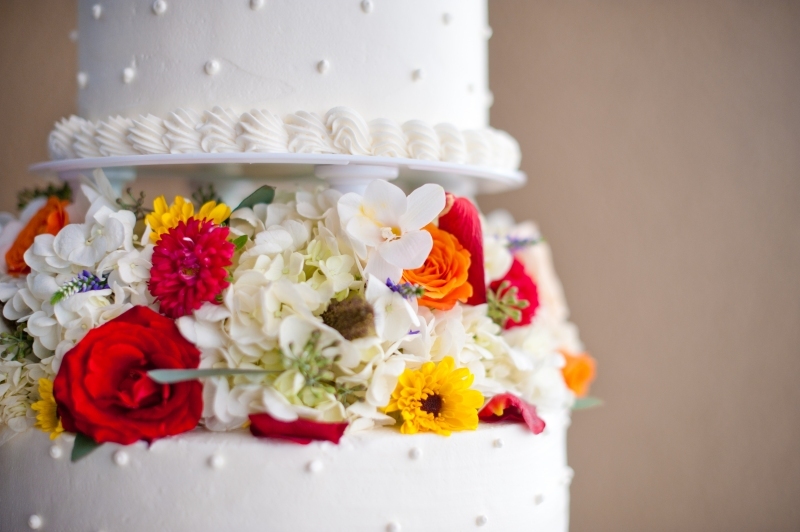 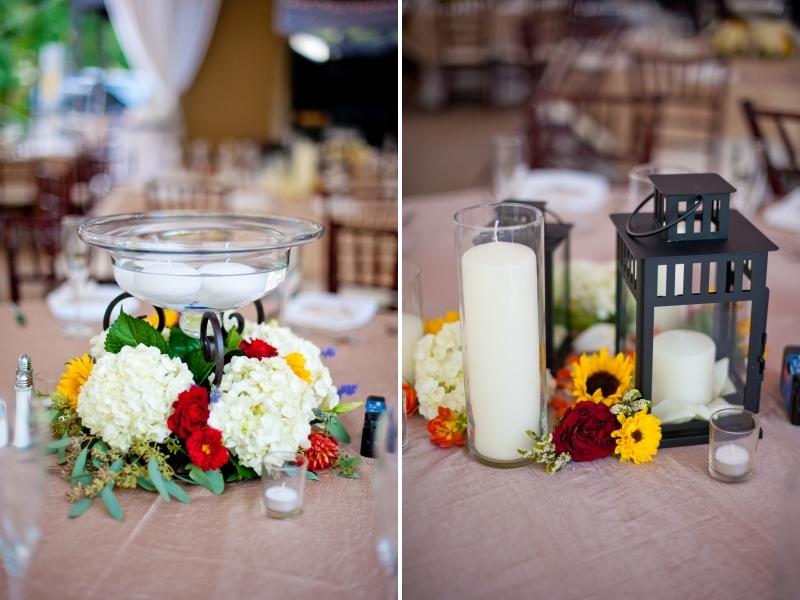 Those flowers in their bold shades of yellow, orange, blue, red and green carried throughout the rest of the wedding decor adding a rustic fall feel to the wedding. 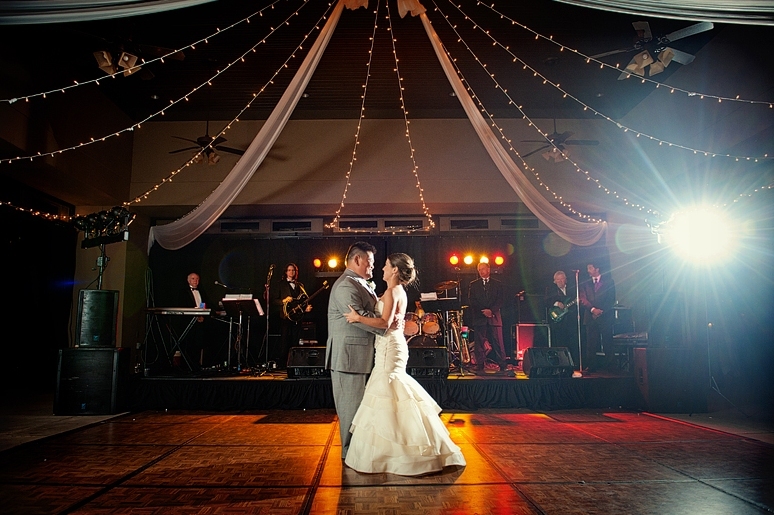 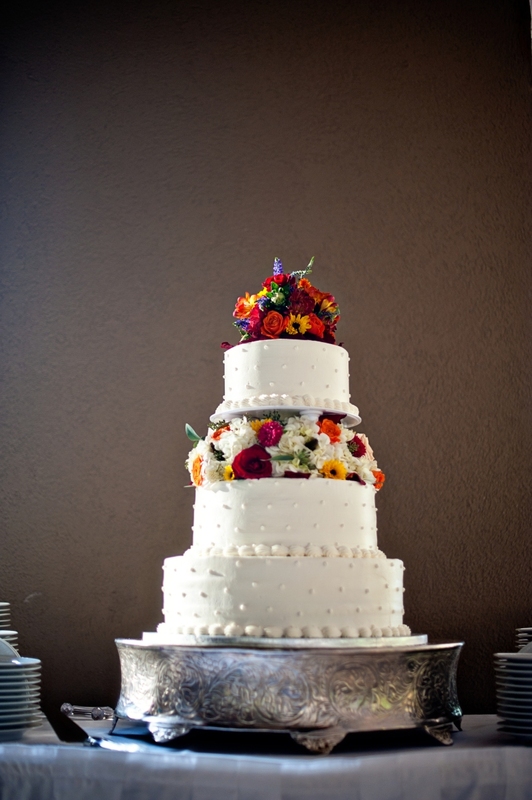 We thank Scobey Photography for sharing their beautiful photos of the happy couple!